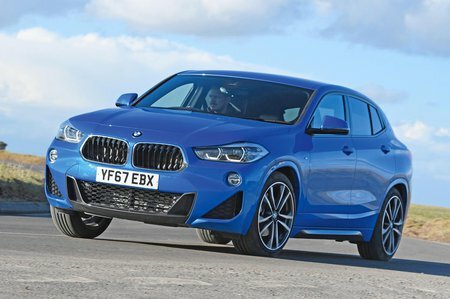 BMW X2 xDrive 20d M Sport 5dr Step Auto 2019 Review | What Car? What Car? will save you at least £2,148, but our approved dealers could save you even more. M Sport is still a popular choice, but the 19in or 20in wheels available and stiffer suspension won’t do the ride any favours. Although the heated front seats appeal, you are mainly paying for a sporty bodykit and racier interior trim, so spec the seats as an option. The power of the 187bhp diesel is available from low engine revs, making it easy to whizz up to motorway speeds without having to thrash the engine to within an inch of its life. Helping matters is the eight-speed automatic gearbox that can slur smoothly between ratios when you’re being sensible yet shift swiftly when you take control using the paddle shifters behind the steering wheel.